Great news for all Deckard fans out there! As you may have noticed, Deckard has been ultra-busy lately, by having released 2 full lengths, a 12″ and a 7″ in less than one year, but yet, he strikes again! 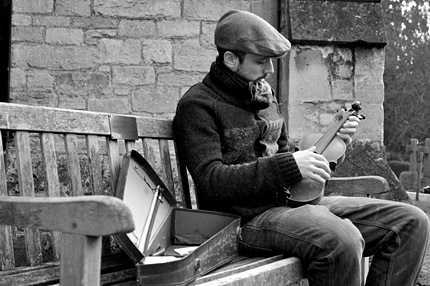 This time he brings out an even darker side with his “Soundscapes”. This mini-album includes 3 tracks (over 26 minutes in total) of pure dark ambience, composed in a dreamy and cinematic way, making this truly unique… “Illbient” as he puts it all in one word, this comes as a free download (with “name your price” option incase you’d like to support) through his bandcamp page and also as a full stream via his soundcloud page. Links for both below. Deckard – Echoes From The Past – Digital Album Out Now! 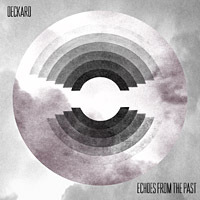 Today, we are happy to announce the Digital Release for Deckard‘s new album entitled “Echoes From The Past” which is an unreleased LP that was produced during the years 2000 to 2005. After some dusting off, polishing and re-mastering, it is sounding as contemporary and fresh as back then. Furthermore, the Limited Vinyl version which will officially drop on the 17th, is now pre-released exclusively on our own Online Store as well as on HHV. Also, for all of you who have pre-ordered the LP (or it’s bundle versions), we’re happy to announce that all pre-orderes have been packed and will be shipped monday morning. 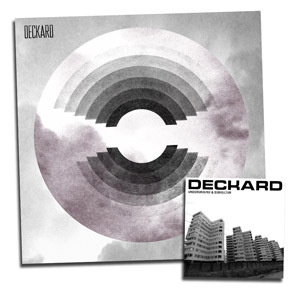 Today, the pre-order for Deckard‘s “Echoes From The Past” album has started. This album is now available in our shop as three different packages. Then there is the normal edition which is limited to 100 copies and comes without the CD. The cover of the LP is made out of strong 350g paper by the way! Please note: the earlier you order, the lower will be the number of your hand numbered copy (lowest number of the special edition given away will be #4, the normal edition starts with copy #51). Furthermore, the first 25 customers of the bundle package will be able to win the ULTRA RARE TEST PRESSING of this album (only 2 copies exist!). Please help us spread the word about this album and share the mix whereever you want! 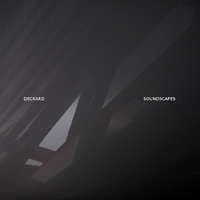 New Album Release By Deckard – Preview Single Out Now! As we already announced it last week, Deckard is about to release a nice second album called “Echoes From The Past” in early September as a super limited vinyl release (more info soon) as well as a digital release. 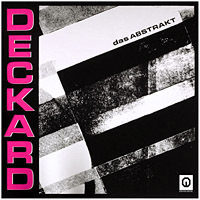 “Defunked“, the first track on the single, is a quite unusual track for Deckard and is a bit more upbeat than his other stuff. In contrast to this – for all the downbeat lovers – the second track of the single, “Slow Body Movement“, is more in his usual style. We hope you like it! A Special Pre-Order for the album will start soon that will additionally contain a bonus CD album by Deckard called “Untergrund und Subkultur“. „Echoes From The Past“ is released as part of the two-piece “Unheard & Recovered” series on Equinox Records. 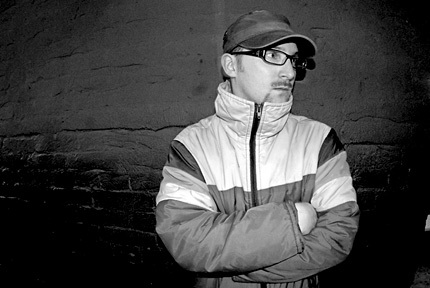 Part 2 of the series will be the unreleased solo full length by DJ Scientist, an equally deep and meticulously produced album with great unheard material from his archives. Deckard – Günesim feat. Deniz Cagli – Limited Vinyl Release Out Now! Two weeks ago we announced the official release of the Digital Version for Deckard’s new single, “Günesim” feat. Deniz Cagli and Anthony Drawn. Today, we’d like to announce the official release of the Ultra Limited Vinyl Version! This limited 7” is the second part of the “Black On Black” vinyl series with a stamped label, and comes only on 100 hand numbered copies. So be quick to grab yours! Of course, buying the vinyl version will also give you free access to the complete 7 track digital version through a download card/code included. 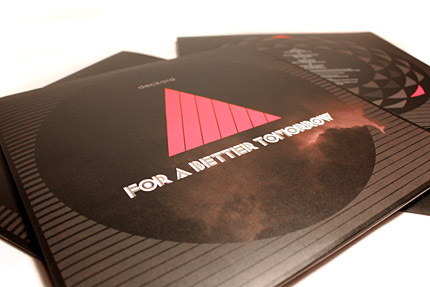 Taken from the album “For A Better Tomorrow“ – features 2 new remixes, one by Anthony Drawn, one Germany’s biggest newcomer talents, and one Alternative Remix by Deckard himself, plus the instrumental versions and the Acapella version of Deniz Cagli’s beautiful singing. Furthermore, there is also a great new exclusive tune, entitled “Near Dawn”. Both, vinyl and digital versions as well as the video for the original version of “Günesim” that is already turning heads on Youtube and tape.tv, should give this amazing track a new push and the publicity that it deserves. Deckard – “Günesim” feat. Deniz Cagli – Digital Release Out Now! 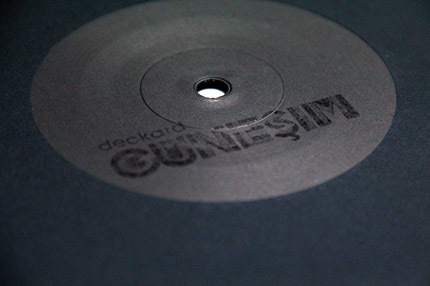 Yes, It’s Out: Deckard’s amazing single, “Günesim (feat. 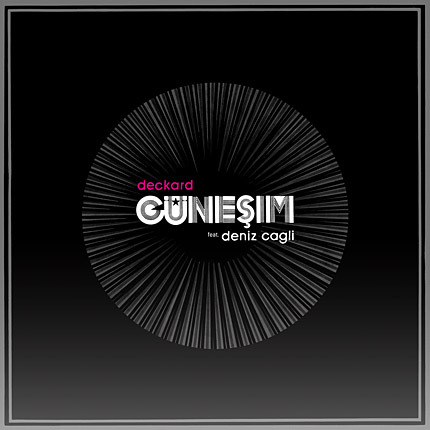 Deniz Cagli)“, has been released digitally yesterday! 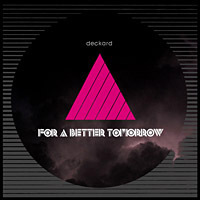 This single – taken from the album “For A Better Tomorrow“ – features 2 new remixes, one by Anthony Drawn, one Germany’s biggest newcomer talents, and one Alternative Remix by Deckard himself, plus the instrumental versions and the Acapella version of Deniz Cagli’s beautiful singing. This new release will also come out on a Limited Edition 7” Vinyl next week which will include Anthony Drawn’s Remix alongside with the Original Version and also include a download card for the complete Digital Version. Shop links for both, Digital and Vinyl Versions follow… and remember, to support the independent market do support independent stores like junodownload or similar. 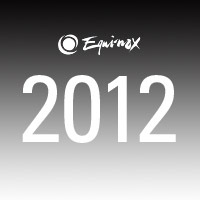 Of course, the best way to support our artist and label is to buy directly via the Equinox Online Store. Today, we’d like to inform you about an exclusive, limited-time, Bundle Package offer as a Pre-Order for two of our upcoming Vinyl releases by 2econd Class Citizen and Deckard. 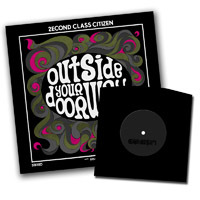 The bundle includes 2econd Class Citizen’s upcoming 12inch, “Outside Your Doorway EP” (eqx-037), as well as Deckard’s new 7inch single, “Günesim” (feat. Deniz Cagli) (eqx-036) at the Low Price of 14.90€ and with NO shipping costs Worldwide (!). Yes! So that would be 14.90€ Total (!) 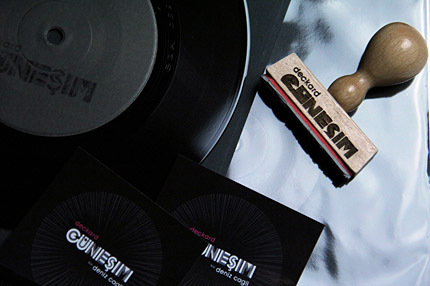 for you to own these goodies, and also note that both Vinyl releases include a download code for the Digital versions. This offer will be on until the 30th of March, so be sure to place your order until then to benefit from this one and also be kind enough to spread the word! We had planned to write this a lot earlier so here is a kind of late overview about what’s going in 2012 on our label – because, actually, there is A LOT!!! First of all, we would like to announce the incredible new album by 2econd Class Citizen, called “The Small Minority” which will be released in early May in cooperation with the new Indie powerhouse Fake Four Inc that will support the US release. It’s 2econd Class Citizen’s second album and we believe that it’s a remarkable step up from his debut LP “A World Without”. The album will be supported with an advance vinyl postcard set (drops February 24th) as well as a single which is scheduled for early April. Furthermore, an album promo mix will be provided by non other than Strictly Kev aka DJ Food. We will soon have more info about all these exciting new releases, so stay tuned! 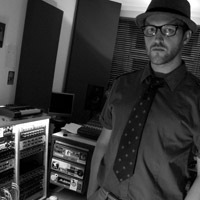 Next up, Deckard, who blessed us with his astonishing debut album at the end of last year, will drop another single on Equinox for the outstanding album track “Günesim” – this single will include a great remix by an emerging new talent on the German electronic scene, Anthony Drawn, as well as an alternative version by Deckard himself. Moreover, Deckard is about to drop a second album on Equinox still this year!! You may already have heard about DJ Scientist’s new EP, “The Artless Cuckoo”, which drops at the end of this week, but, may not be aware that plans are in the works to release his first official debut album this year as well. It is actually his unreleased album from 2006. More news about this will follow shortly. 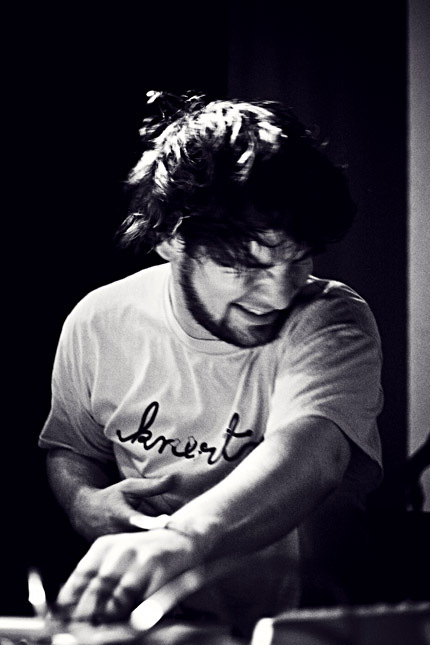 In addition to finishing his solo stuff, Scientist is also working on a 2nd album with Ceschi. There’s only a few more tracks to be finished – so we all hope that a follow up release to the successful “The One Man Band Broke Up” album will be released this year. Approximately in late May or June, Greek producer Andreikelos, who blessed us with his great remix of Ceschi’s “Black And White And Red All Over” on New Year’s Eve, will drop a first EP on Equinox called “Euryphaessa”. Be on the lookout for a really beautifully composed and exceptional release in Andreikelos’ trade mark style of organic electronic beats. 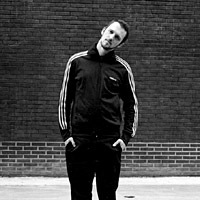 Producer talent Playpad Circus from Berlin is about to finish work on his EP project. A release date is not fixed yet but this long awaited debut EP, which is likely to be released in cooperation with Project: Mooncircle, should definitely drop in a few months. 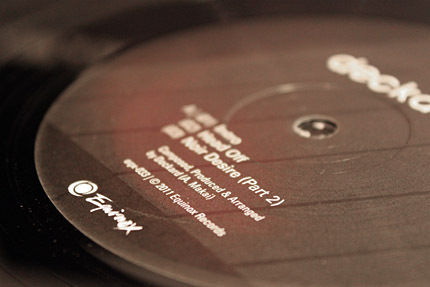 Anyone remember the “Leinwand EP” which was one of the few vinyl releases on our sublabel Audiac in 2006? Yes? Good! Aqua Luminus III and Misanthrop have joined forces again to deliver a great follow up EP that contains some seriously dope features by the likes of Ceschi, 2Mex, James PHoney, as well as Germany’s turntablist icon DJ Stylewarz! What more can we say? Last but not least we have a few uprising new talents to drop music on our label as well. It’s too early to talk about it yet – but we’re ready to drop a serious bunch of great new music this year, so watch out! And finally, for the end of the year, we would like to announce our 10 year anniversary release which will actually be the next part of our “Sound Exposure” series. Again, it’s still too early to talk about this project, but we’ll definitely keep you updated! 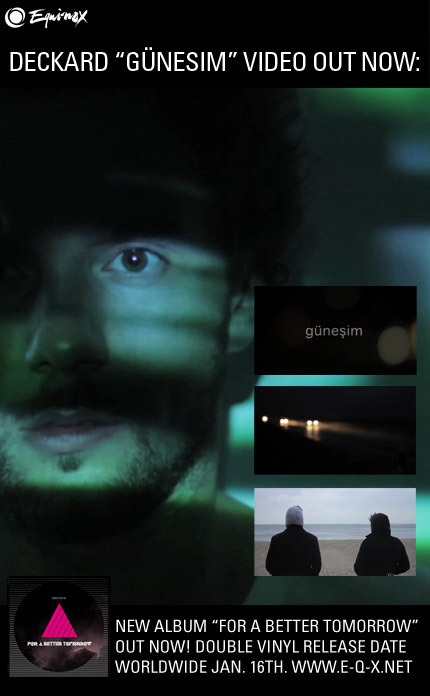 Today, we are proud to announce the premier of the awesome video for Deckard‘s “Günesim” via Pulse Radio in the UK that is featuring Deniz Cagli on vocals and was directed by Ceylan-Alejandro Ataman-Checa. Alongside the video you should read the cool interview where Deckard aka Attila Makai talks about a brand new music project, collaborations and more. “Günesim”, a track off of Deckard’s new album “For A Better Tomorrow”, features the beautiful female voice of the Turkish singer Deniz Cagli. This is a cover version of a song featured in the German movie “Im Juli” (In July) by Fatih Akin where it is performed by the German-Turkish actor Idil Üner. 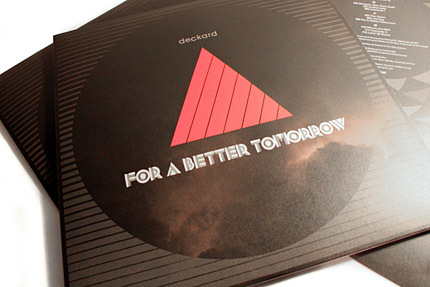 Since today, the beautiful double vinyl release of Deckard’s debut album “For A Better Tomorrow” is available exclusively at the Equinox Online Store as well as hhv.de. All other stores world wide will have it on stock on the 16th of January then. 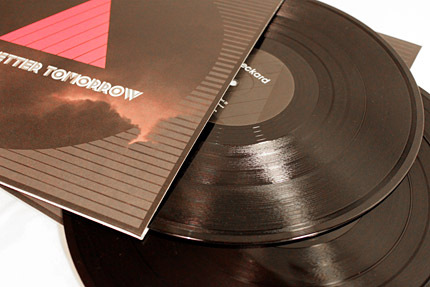 By the way, we only pressed an initial run of 300 copies – so don’t sleep! More shoplinks will be added on the 16th. Here are a few pictures of the vinyl – it sure looks good! Thanks to Sara Krines for the pictures! 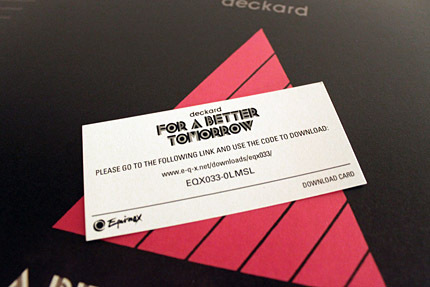 Deckard – For A Better Tomorrow – Digital Release Out Now! To support the independent market please remember to support independent stores like junodownload or similar. The best way to support artist and label is to buy directly via the Equinox Online Store, of course. The vinyl release of the album will be available on december 23rd. All pre-orders will be shipped early next week. 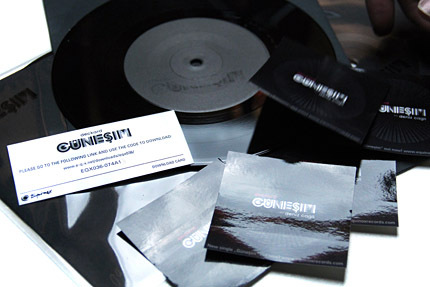 The vinyl version, as always, additionally contains a download card for the full hi res 320kbps mp3 files of the release. 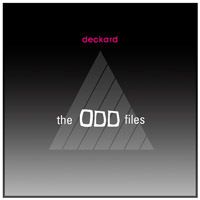 Since last saturday, there is a dope exclusive mix by Deckard available on oddbloggings.com. You should definitely check it out as the mix features some unreleased material by Deckard as well as other cool music by the likes of Dday One, Son Of Kick, Burial & Four Tet and many others. m.path.iq / We Are… On Air! Furthermore, the album is now available as a pre-order in our shop and will still be shipped before Xmas!! This is an exclusive offer – the worldwide release date is not before January! So don’t hesitate to order this great album now! 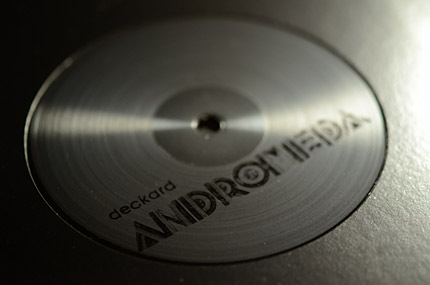 Today, we finished stamping and numbering the ultra limited new Deckard single “Andromeda“. 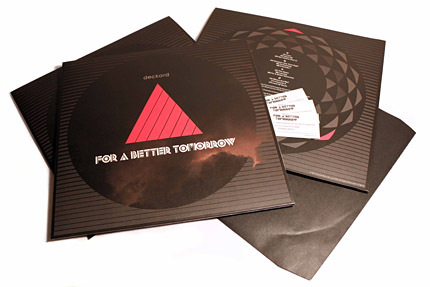 The 45 rpm 12″ comes in a simple black sleeve with a black logo stamp on it and is limited to just 111 copies! Looks great and sounds BIG! 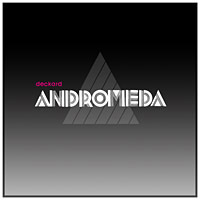 “Andromeda” is the first single for the upcoming debut album by Deckard entitled “For A Better Tomorrow” that will be released on vinyl end of december in Germany and early January world wide. It includes the original version, remixes by Bit-Tuner and Demokracy as well as a nice Drum & Bass remix of “The Dawn” by Rowpieces. Furthermore, there is a special edition that additionally features a tape that includes an unreleased bonus track called “Neorave“. This deluxe edition is limited to 25 copies! 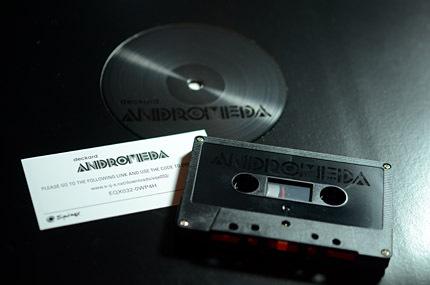 Complete 12″/Tape edition with Download Card. Keep in mind that we offer super low worldwide shipping costs of just 4 Euro! 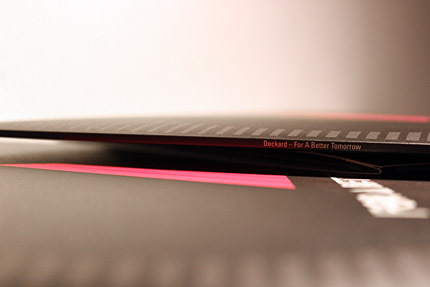 Since today, you can pre-order the ultra limited new 12″ single by Deckard that features 3 awesome remixes by Bit-Tuner, Demokracy & Rowpieces. As always, the 12″ will contain a download card for the digital version of the single which additionally includes an alternative mix of the album track “The Dawn”. Furthermore, there is a Special Edition of the release which includes an additional Tape with an unreleased bonus track! Those will be the hand numbered copies 1-25. 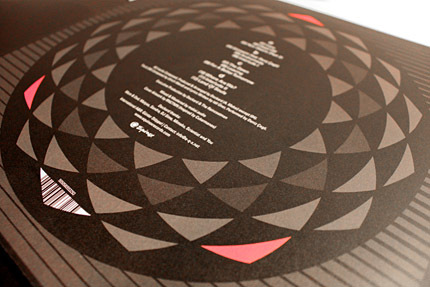 The rest of the 12″s will also be hand numbered. By the way, his debut album “For A Better Tomorrow” will be lead by a single release for the track “Andromeda” that currently got remixed by Bit-Tuner from Switzerland (who just recently blessed us with his great “Drone EP”) and Demokracy from Russia. 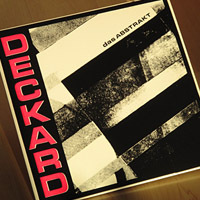 If you want to stay updated about this release please like Deckard’s new Facebook page. Deckard has an interview on DEAD Magazine: http://www.deadmagazine.de/2011/09/09/deckard-entfuhrung-auf-audiophile-reisen/ … this may be the first Deckard interview ever!! Debut album coming in December! !